The Real Estate Development process involves, for the most part, three substantive groups: The public infrastructure group, the producer group, and the user group. Jos. L. Muscarelle, Inc. could best be described as the producer group, creating, levering, and managing space-time units. Choosing to specialize not in an in-depth discipline, our firm excels and specializes in the commercial real estate development process. Our firm manages the complex process that demands attention to all of the different aspects of creating the built environment. Here at Jos. L. Muscarelle, Inc., our company uses its control of three factors of production (land, labor, and capital) to oversee the political, regulatory, economic, financial, physical, legal, and sociological aspects of the real estate development process. Historically, our firm has been a base-building, ground-up developer, but, given the current regulatory environment and high barriers to entry, has also embraced promising adaptive reuse projects, while at the same time mitigating some development risk. Within Jos. L. Muscarelle, Inc.’s Development Services Division is an ability to deliver product internally with in-house personnel. Jos. 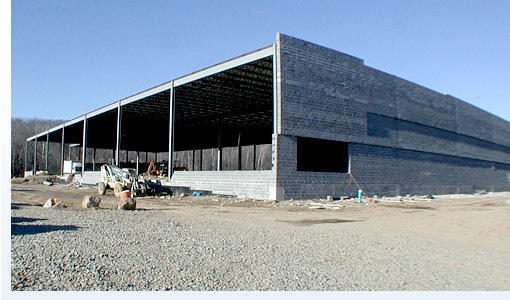 L. Muscarelle, Inc.’s staff buys out and coordinates all disciplines related to delivering a building. This ability to act as its own general contractor ensures long-lasting quality and controls budgetary concerns.